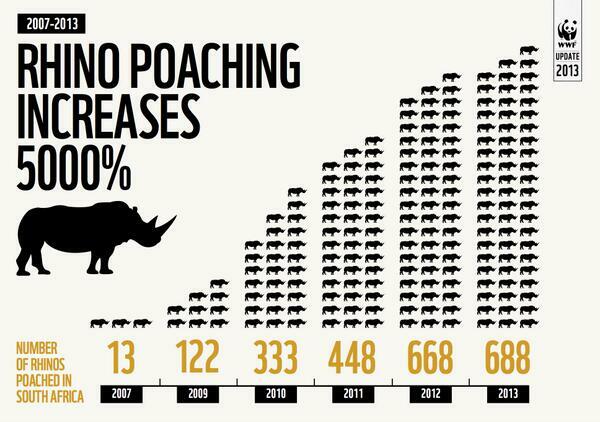 The current statistics regarding Rhino poaching are staggering. The unrelenting assault on these impressive beasts has left disgusting holes in the their dwindling world population. The fight against poaching is ongoing, underfunded and desperate. With the recent extinction of the Western Black Rhino, we are again reminded of the fragility of these robust, sometimes comical, animals. I have recently found myself thinking more and more about what this in this world is going to be left for my children. It is a scary process and the reality of the situation – the fact that species are still becoming extinct because of human greed and naivety – pisses me off! We’ve seen continuous campaigns to raise awareness in the past few years. Leading the charge is savetherhino.org and stoprhinopoaching.com Have a look, get aware. 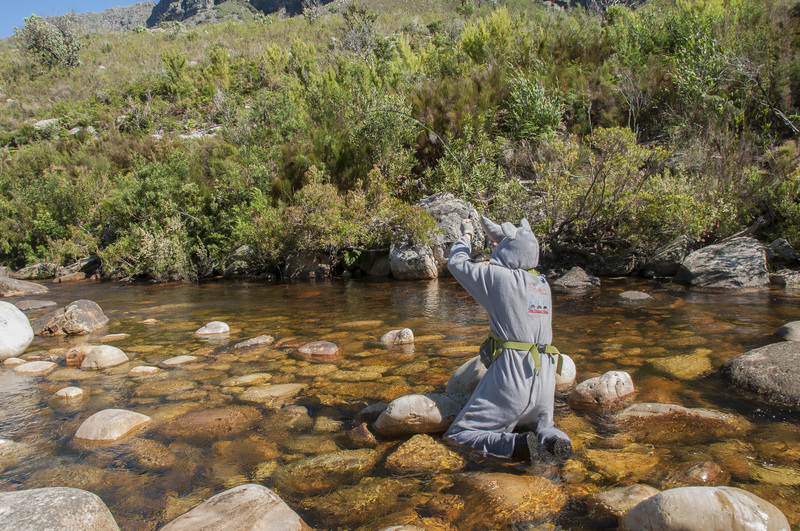 However, for us flyfishermen, a fundraising and awareness initiative that is of particular interest is flyloops.net’s The Rhino Fly Initiative. Gordon van der Spuy is passionate about the campaign and was even recently seen poaching Craig Thom’s Smalblaar beat in a rhino onesie a couple of weeks ago. 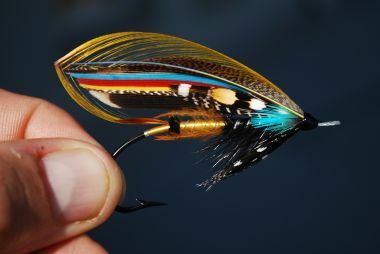 Being a fly tier of reputable status – his traditional Salmon patterns are amazing – he has teamed up with flyloops.net and Tom Sutcliffe - artist, author and fly fisher whose name is synonymous with the development of the sport in SA – to get a fly auction initiative running from which the proceeds will be added to the stoprhinopoaching.com fund. 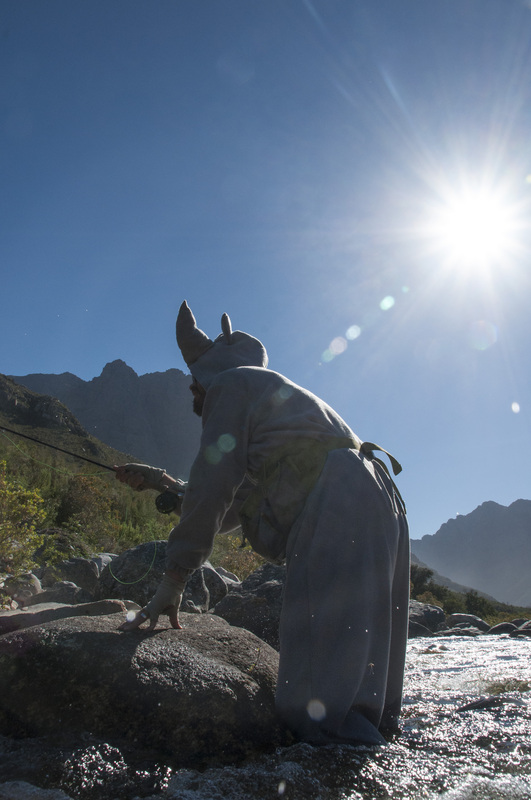 Gordon and his rhino suit – very warm under the African sun. With some hard work, it’s now flying! Between Gordon and Tom, there are flies up for grabs from famous tiers from all over the world. 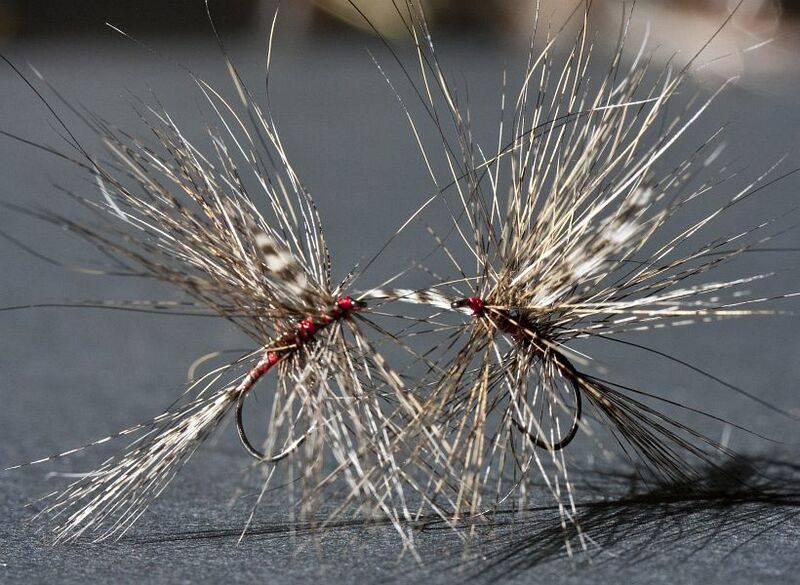 The centre of auction may well be a single White Wulff, tied by the legend himself, Lee Wulff. This generous contribution was made by his wife Joan and must surely be priceless in terms of historical significance! The collections of flies are being sold in an online auction format and the winners will be announced in December. Follow this link to have a look and do your bit! 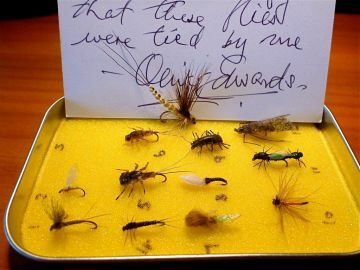 A collection of flies, with authentication card, donated by Oliver Edwards. A pair of Tom Sutcliffe’s ethereal RABs. A Gordon van der Spuy Jock Scott. 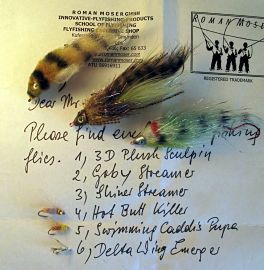 Several Roman Moser flies, with a signed list from their tier. wow, do i ever hear you about being disgusted and dismayed with the slaughter of the rhinos. time to send in shoot-to-kill anti-poacher teams, and i'm not kidding about that. on a nicer note that jock scott is beautiful.